It was actually completed months ago, I’ve just been lazy about adding it to my site. 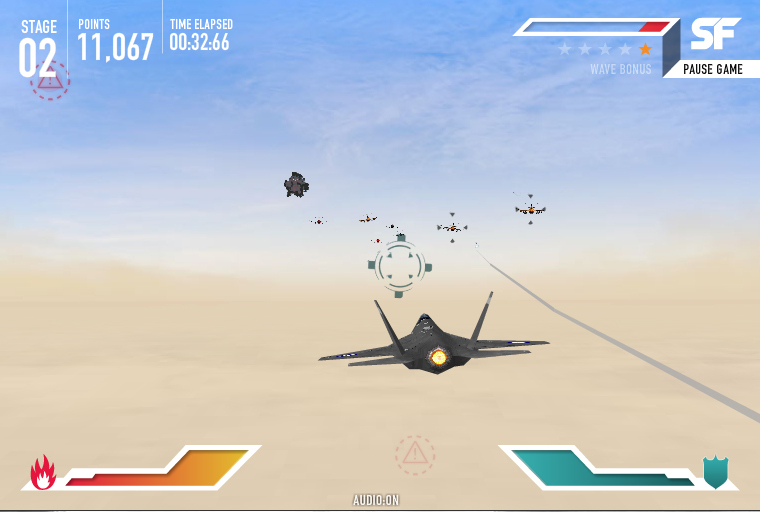 The basis of the game is pretty standard – fight your way through wave after wave of enemy jets, and get as many points as you can. To help keep things interesting there are two different styles of play – Campaign and Survival. 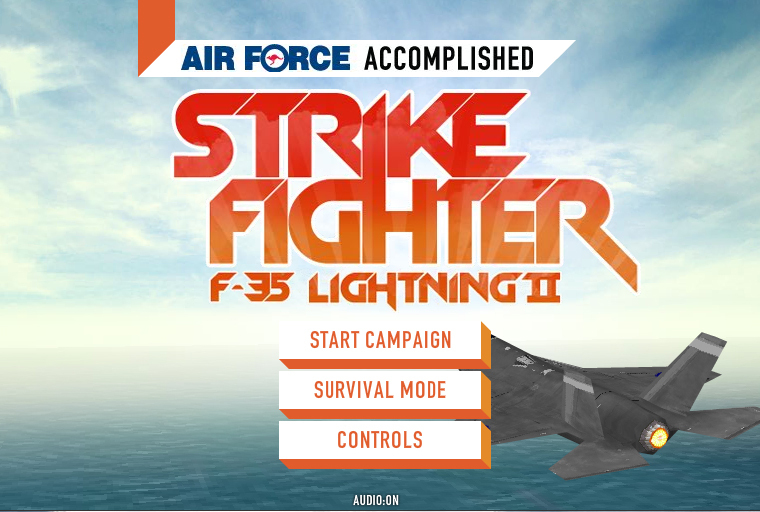 The ‘Campaign’ mode is set out in a stage by stage basis. 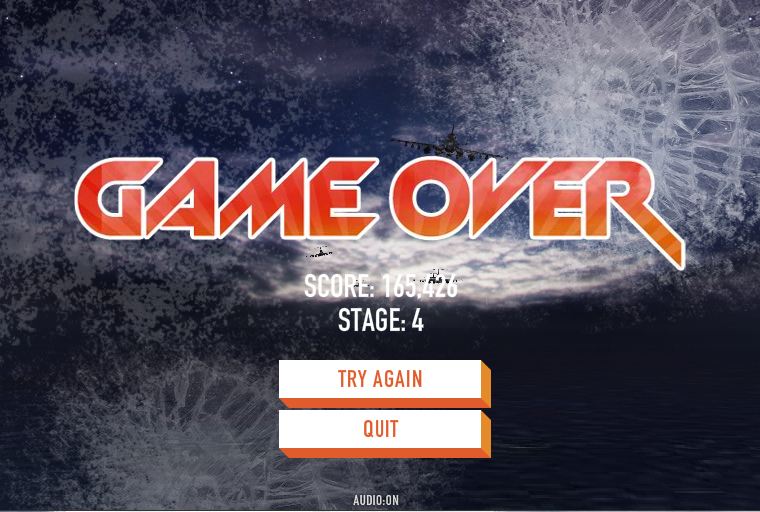 There are 7 stages set across 5 different scenes, with each scene containing a different set of enemy aircraft that get progressively more difficult as the game goes on. 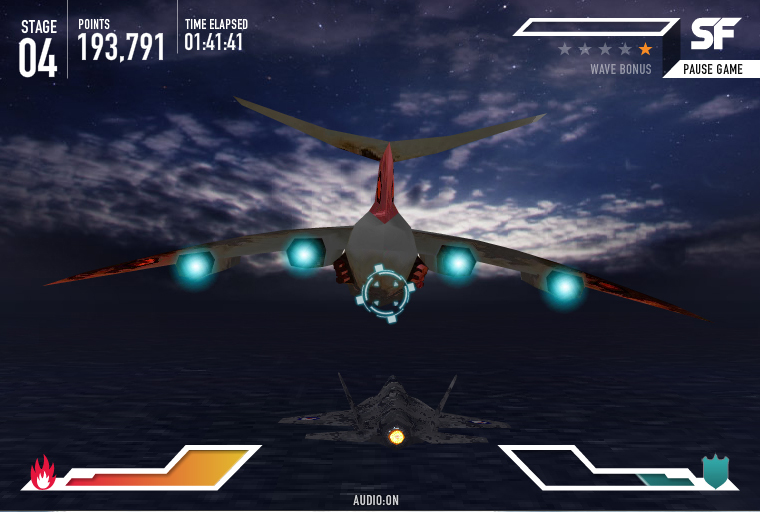 At the end of each stage your score and bonuses are added up. 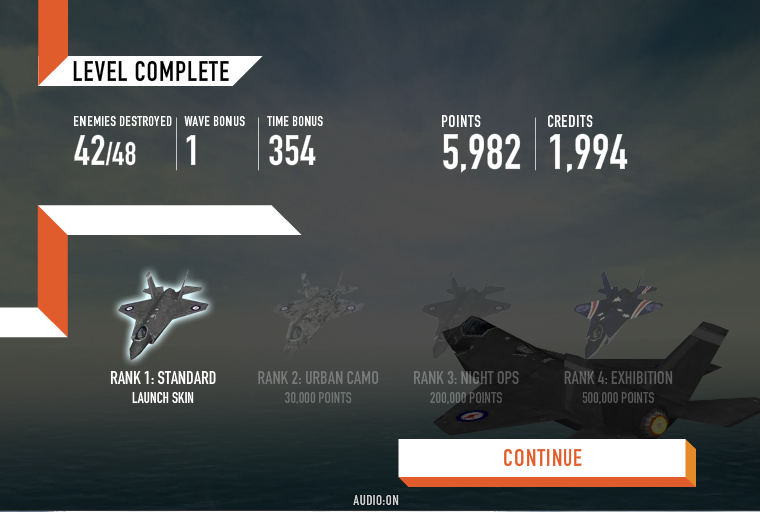 As you score more and more points you unlock new skins for your jet. 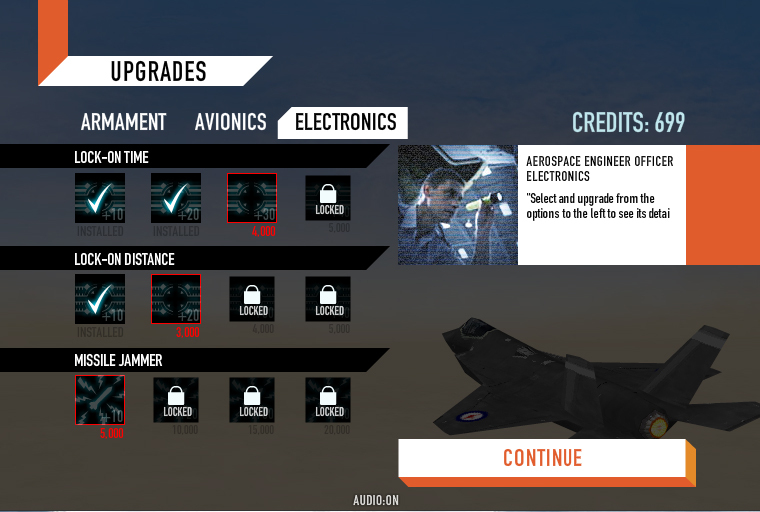 You are also given the opportunity to spend the credits you collect on upgrades for your jet. These are spread across three key areas – Armament, Avionics and Electronics – and include things like faster lock-on times, multiple missiles, radar jamming, agility upgrades, etc. At the end of the last three areas you are confronted by extremely large ‘bosses’ that almost fill the screen. They attempt to ram you as well as bombard you with multiple missiles. Arghhh! 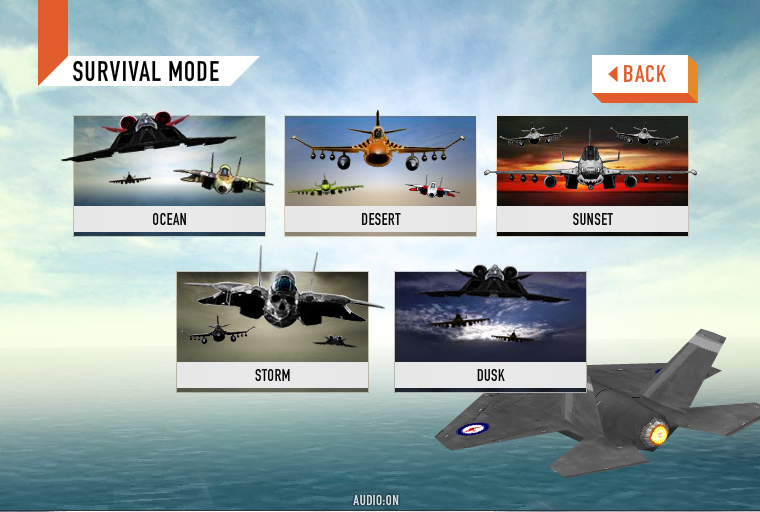 Survival mode is kinda the same except that instead of a ‘mission’ based approach, you get just one life and fight through as many waves of enemy jets as you can. You also get to choose which scene the game will be set in, so you can practice with the various sky lines.